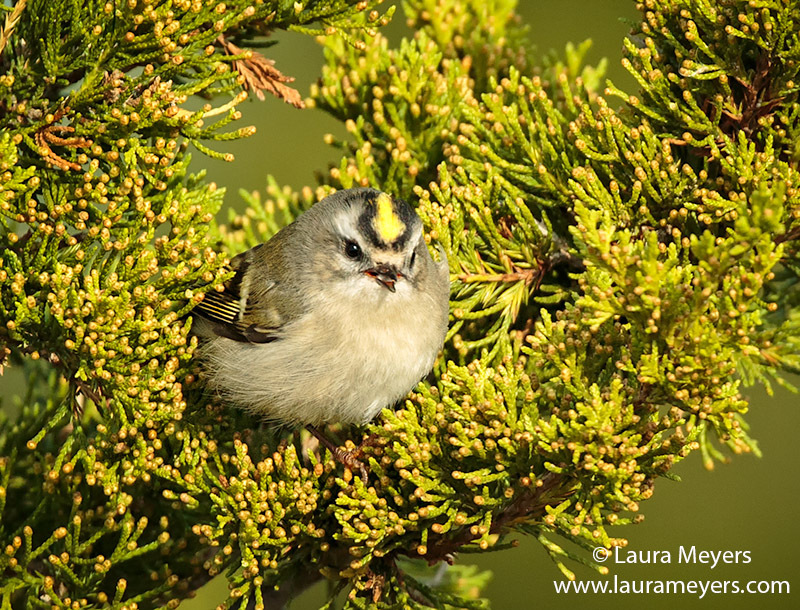 The picture of this Golden-crowned Kinglet on Tree was photographed at the Green-wood Cemetery in Brooklyn, New York. Kinglets are one of my favorite birds to photograph as they are always moving about and it so rewarding to get a still image. I find they are not very skittish which helps a lot. 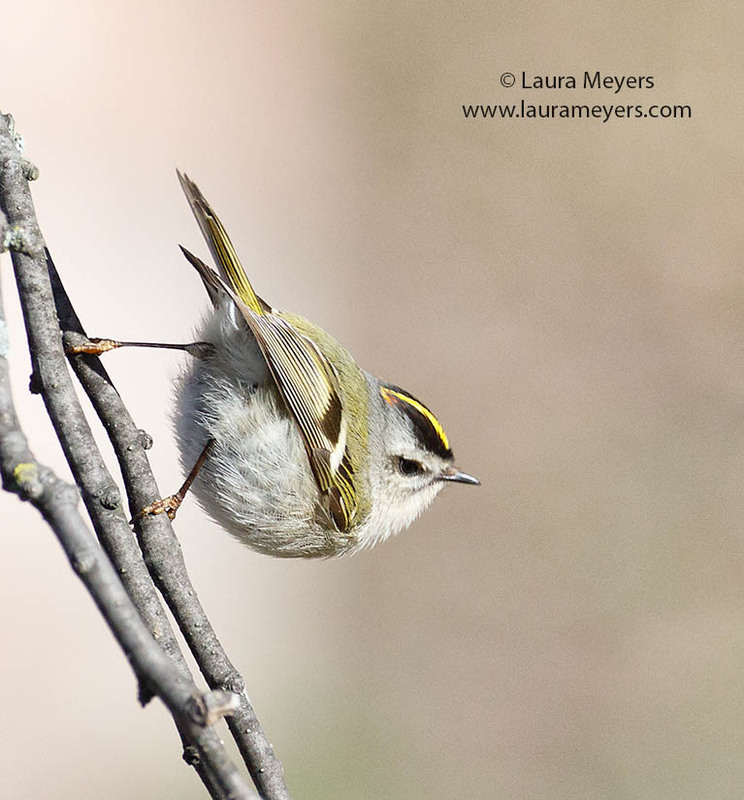 To hear the song of the Golden-crowned Kinglet, click on the arrow below. The picture of this Golden-crowned Kinglet was photographed at the Green-wood Cemetery in Brooklyn, NY during spring migration. The picture of this Golden-crowned Kinglet was photographed with the Canon 5D Mark III Canon 300mm f2.8 IS II with the 2X extender. The picture of this Golden-crowned Kinglet eating a seed was taken near the Coast Guard station in Jones Beach, New York in the early morning during fall migration when there were many kinglets eating seeds like crazy. 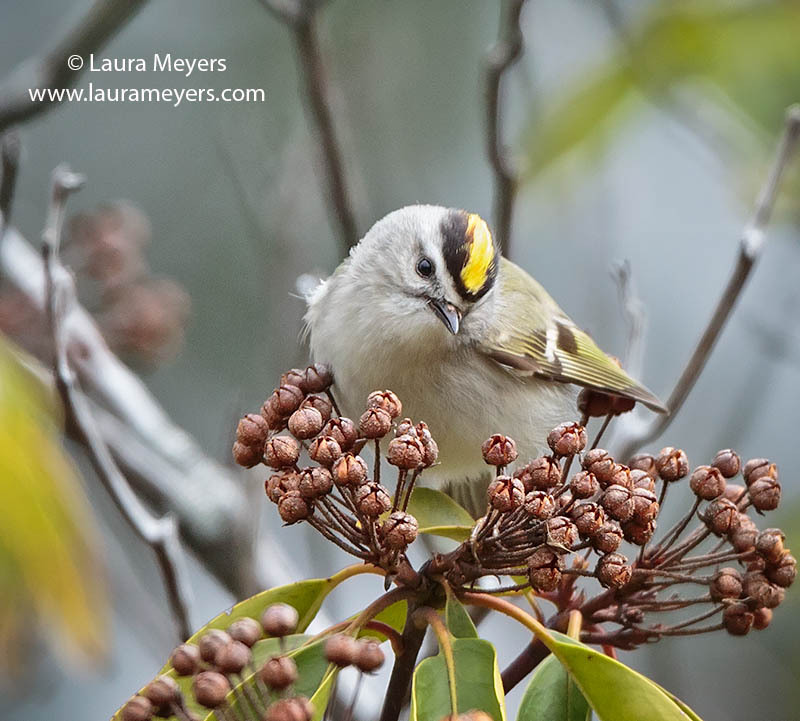 The picture of this Golden-crowned Kinglet was photographed with the Canon 5D Mark III Canon 300mm f2.8 IS II with the 2X extender. 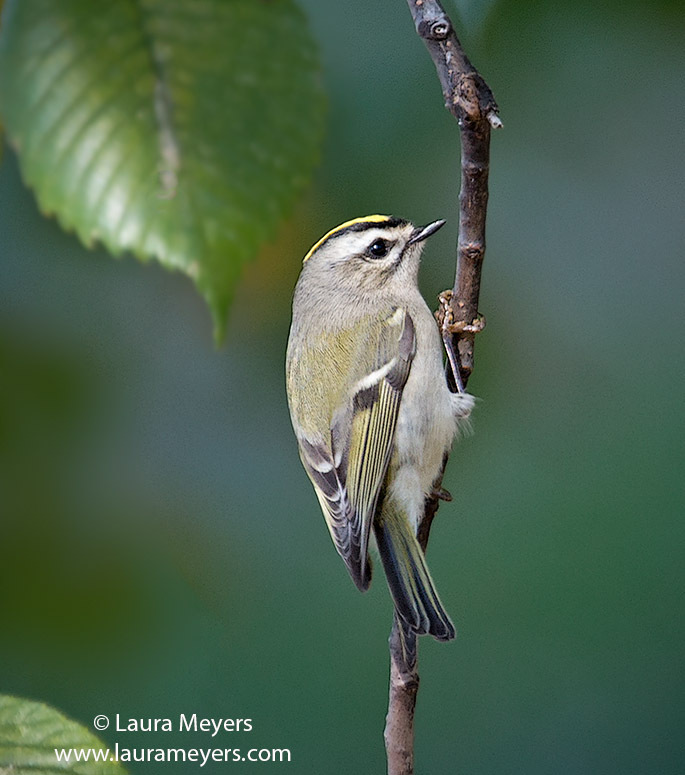 Golden-crowned Kinglets are boldly marked with a black eyebrow stripe and flashy lemon-yellow crest. To find them, listen for their high, thin call notes and song.